Sometimes life can feel harder or more complicated, and your usual ways of coping are no longer effective. 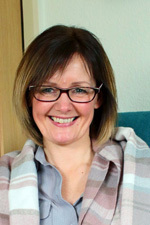 I offer a safe environment and a warm non judgemental relationship which creates a space to help you reflect, understand your thoughts and feelings, increase your awareness of what has or is happening and explore your options. Working together we can increase the capacity for personal change and to feel more in control of your life. My philosophy is that everyone has potential, meaning that change and personal growth is always possible. I have over 10 years of counselling experience working with people through difficult times in their lives. I have over 3 years experience as a clinical supervisor and have worked with trainees, newly qualified counsellors through to very experienced practitioners. Also supporting therapists through their accreditation application.